Make any outfit special with this beauty. 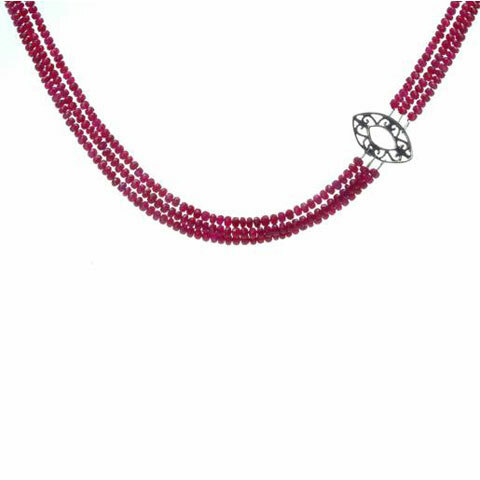 This fabulous multi strand Ruby necklace is both modern and timeless. Three simple strands of rubies are offset with a one of a kind sterling finding that is nestled off center for interest. Clasp is sterling silver.